The spring releases keep rolling out, and the latest is from New Look! While I’ve convinced myself I don’t need to add any of this to my personal stash, I do think that overall this is a nice release. Let’s jump into it! N6593 – Not really a fan of the ruffle/puffy sleeves, but, overall, it’s not bad. The version on the model is cuter than I would have expected just from looking at the line drawing. N6594 – I actually really like this dress! The collar and sleeves are a nice detail, and i like the fitted darts in the back. The details on the front bodice are nice as well. N6595 – It’s a simple sheath dress, but it has some nice style lines for fitting. I also like the neckline options as well as the sleeve ruffle options. N6596 – I wish there was a tad more fitting on this dress because I love the draped, contrasting fabric detail. The boxy shape of the dress underneath makes it a tad less exciting though. N6597 – This could be nice if you are looking for a simple, easy to sew knit maxi dress pattern. I like the sleeve and length options, though I suppose it might also have been nice if there were a full length version. 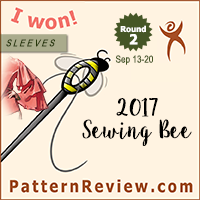 N6600 – Not my favorite wrap dress pattern on the market, but I can see why this could be a popular pattern for those who prefer to sew with woven fabrics and are looking for a nice, summery wrap dress pattern. No really special/interest features here, but it is a nice basic design. N6601 – Personally I find this woven top to be a bit on the stiff side, which makes it look a bit uncomfortable and awkward. In theory I find the asymmetric button details interesting, but in reality I think this top just looks a bit stiff and uncomfortable. N6603 – I like this tunic top, but I think the shorter option is a bit nicer. The longer version is in that weird space where it’s a bit long for a top but not quite long enough for a dress… Actually I think I would like this a lot more if it were just a dress. N6004 – Not too impressed with this top; the tiny pleats are a nice detail, but overall the top is a bit boxy and sort of bland. N6605 – This is one of those patterns that isn’t really that exciting if you have a large stash, but it is a nice pleated skirt in general. The scalloped hem is a nice feature, and the elastic waistband makes it look like an easy sew. It looks like it could be a good pattern to use with fun prints! N6606 – I actually like the look of these pants and shorts. Not sure of these look like they might be a bit low in the rise (based on the line drawing) but I so think the subtle front pleats are a nice touch. N6607 – I feel like this cardigan jacket could be popular; it’s not too complicated of a sew, since it lacks a collar. But it really isn’t a style that I find too exciting; I’m not sure why. I think the model image is more interesting than any of the line drawings. N6608 – This is an odd one; I’m finding I really like the line drawings, but not so much the model photo? I think it is really the cardigan/topper blouse that I’m not responding to, as it makes the whole outfit look a bit sloppy. The tank top and pants are nice basics though. N6609 – Another one that I feel looks fun in the line drawings but comes off as very sloppy on the model. This is another one I like much more in theory than in practice. N6610 – This kids dress is really cute! N6011 – Another fun one; I really hope the appliqué animals double as pockets! N6012 – Slightly cooler jumpsuit pattern for the slightly older kids. And that’s it! I think it’s sort of refreshing to see the different silhouettes coming into fashion. It’s also nice to not have giant ruffle sleeves on everything. I think it’s a decent release, but nothing so amazing I really need to add it to the stash. Lots of nice spring/summer basics, with lots of casual options. I feel like if I didn’t have as large as stash as I do, I would be intrigued by many of the dresses, but, as things stand I really don’t need to be adding more to my personal stash. What do you all think? 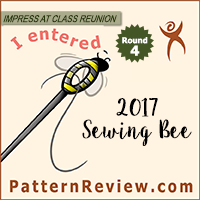 See anything that makes you want to jump into spring sewing? Or does it all look like a bunch of boring rehashed basics? Feel free to discuss in the comments! I saw these at the store last week and have been dying to see what you said about them. You pretty much mirrored my thoughts! The one pattern I’m buying is 6594. I really love fit n flare midriff- waist dresses and this one is not too low with the decolletage. Won’t need to raise the neckline or wear a cami! I like both with and without the collar and it wouldn’t be hard to use other sleeve patterns to change the look more. I actually like the boxy top with the pleats, 6604. I would probably cut the sleeve off at the bottom of the pleats though. I don’t really like the flair that happens at the bottom of the sleeve. I really like something about 6593. I think it’s cute on the model (minus the neck frill) but I don’t like the line drawing as much. Gotta think about that one. I LOVE 6594 and think it’ll be popular…but I’m never quite sure about those underbust gathers on a full bust. 6606 is a must buy for me. It is very reminiscent (IMO) of the popular S1887 which I also loved. But this pattern feels like an updated version. I like the short view of 6607 so unsure if I’ll buy but can see it as a cute summer topper. 6608, I like the line drawing much more than the photo and 6609 seems like it SHOULD be cute but it feels dowdy. Maybe it’s all the volume plus the print?? I’m not sure. I think this is an overall nice release from NL though! Not a bad collection! Like everyone else, 6594 is actually nice. I like the shawl collar. Not sure if I like it enough to buy it, but maybe on sale. I really like the shorts, that one I need. I don’t know, I think they called it in this time. Too many basic things for my taste. I wonder how having all the big 4 under one umbrella is going to play out design wise. A few of these look familiar, as in recently sold under another brand , then a small added tweak or blatantly sold as is under a new brand and number. 6595, I’ve seen that before. I hope the next to release is braver in it’s offerings. I’m expecting the brands to start differentiating their target audience a bit more… But it remains to be seen if that will happen or not! Like a lot of others, I like 6594. I seem to never have too many dresses if casual enough! Not much else I love enough to purchase though.